Our custom benches are all solid wood, and when hand painted with one of our themes, becomes a beautiful work of funtional art. 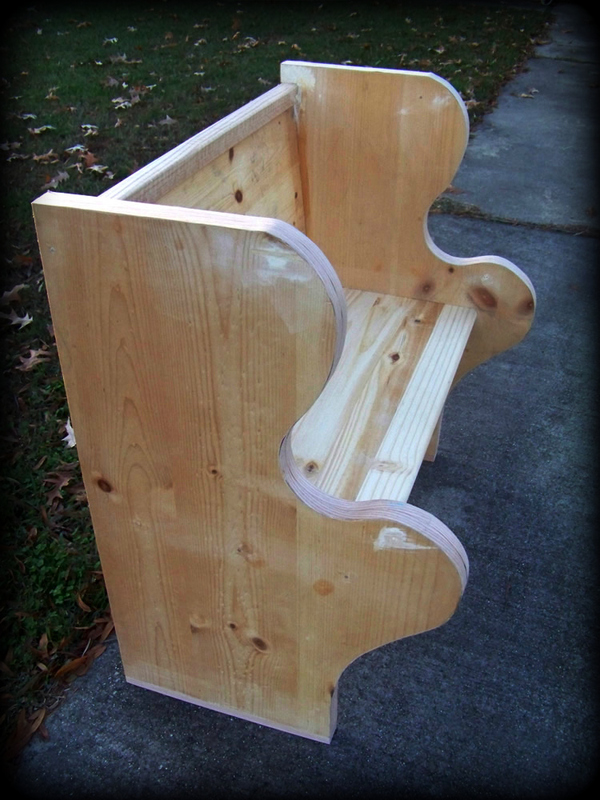 This bench design features curved sideboards, and is perfect for any of our painted furniture themes. 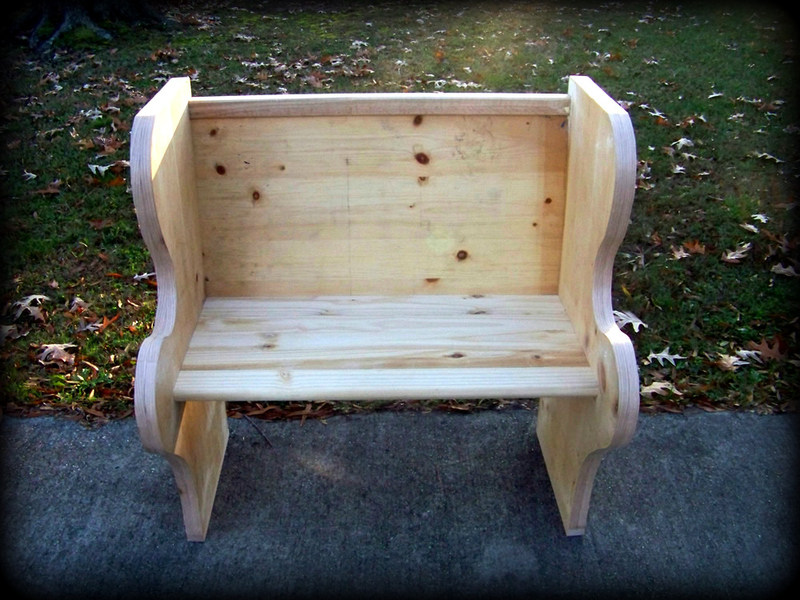 Standard size for this bench is 36"W x 32"H x 18"D. Custom Sizes are available. 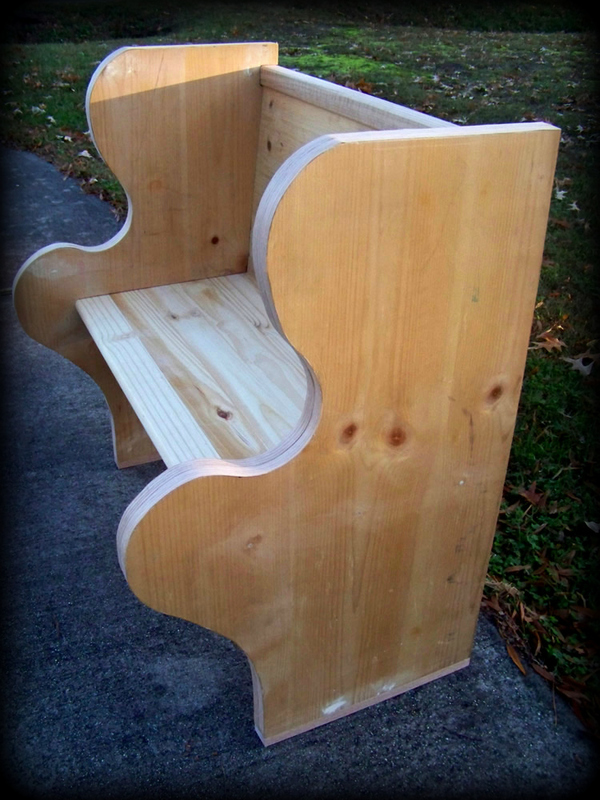 Front view of our custom bench, before addng one of our painted furniture themes. 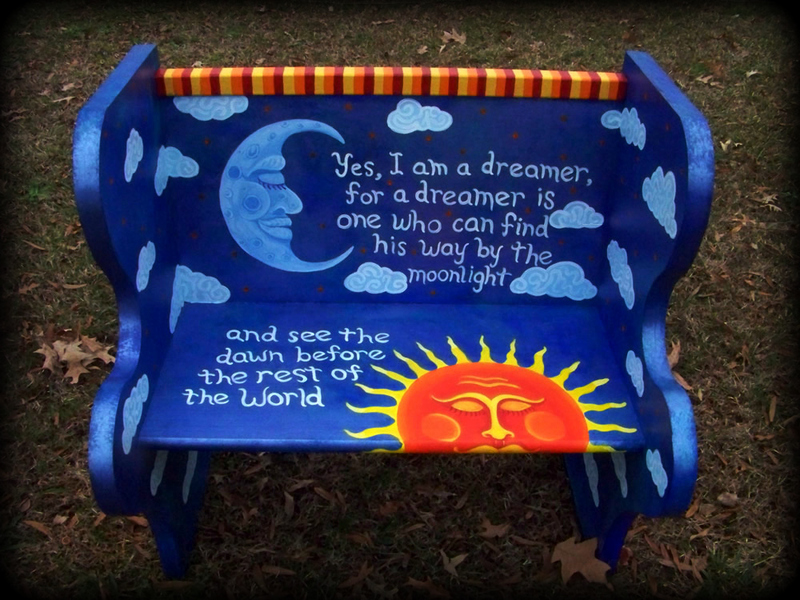 Front view of our custom bench, after being hand painted with our Dreamer's Moon theme. This design has whimsical curved sides and is an excellent canvas for our painted furniture themes. Custom sizes are available. Due to the size and weight of this item, shipping costs can be expensive. To order a hand crafted bench in this design painted with one of our painted furniture themes, or to inquire about any of the functional art displayed on this site, simply visit our Contact Page and complete our convenient form.